America is facing a catastrophic jobs crisis. Not since the Great Depression has official unemployment hovered above nine percent – where it is today – for more than 20 months. Millions of American have given up looking for a job altogether. Even worse, real unemployment is more than 18%. Yet Washington overall has obviously yet to embrace a large-scale job creation agenda. Even if we reach consensus around the deficit – the only economic issue even getting any attention these days – it will do little to help the 29 million Americans who are unemployed in real terms. If we do not seriously tackle jobs, our country may never regain its competitive global edge. We found there are six vital policy areas that our government must address in order to create millions more jobs now: manufacturing, trade and globalization, U.S.-China trade, the infrastructure crisis, jobs in the green economy, and youth unemployment. Washington is often a city of Chicken Littles, which makes ringing the alarm bell difficult. But once Washington wakes up from its deficit hangover, politicians will realize something that most Americans have known for months: The sky has already fallen. America’s manufacturing sector must be a cornerstone of the nation’s economy and thus one of the essential drivers of the recovery we are still searching for. Yet manufacturing remains in a decades-long free fall, with, like most other sectors, stagnant wages for more than a decade. In just three years, our manufacturing sector has lost over 2.5 million jobs, and over the last decade, we’ve lost more than 6 million. The continuing decline of manufacturing will limit job growth and jeopardize our national standing. Industries that were once great contributors to our country – auto manufacturing, shipbuilding and machine tools fabrication – are barely shadows of what they once were. Meanwhile, jobs in other leading manufacturing sectors, like aerospace, are being off-shored every day. No single measure would do more to help resuscitate U.S. employment, particularly in manufacturing, than an encompassing buy-domestic government procurement requirement. All infrastructure projects funded and guaranteed by the federal government and the proposed infrastructure bank should require purchases to be made in America rather than overseas, consistent with our international trade agreements. As well, to qualify as “Made in America,” at least 75 percent of the content should have to be manufactured within our borders. To make that happen, Congress should require domestic content calculations to be effective and transparent. Domestic sourcing requirements for all government procurement programs (e.g., Buy American, the Recovery Act) and programs that support U.S. exports (e.g., the U.S. Export-Impact Bank) should also be reviewed to ensure that contracting agencies are obeying and implementing the requirements. The Defense Authorization Bill passed in December that requires the Pentagon to buy solar panels from U.S. manufacturers is a good model. In addition, Congress needs to enact an all-of-government successor to the 1933 Buy American Act. - Link an investment tax credit directly to jobs. A 10% investment tax credit for the rehabilitation and renovation of existing manufacturing facilities would pump billions of dollars into modernizing America’s plants. And with an additional investment tax credit for new equipment, businesses could retool their factories. - Determine which government programs create and support U.S. jobs. We should require those bidding or applying for government contracts, assistance, grants or awards to provide detailed Employment Impact Statements in the application process. Results would factor into the outcome of the project or transaction. Our trade policies and unaddressed ills from globalization exacerbate America’s manufacturing industry woes. Just since 2001, the U.S. has had massive annual trade deficits totaling over $6 trillion. Yet the U.S. has no precise strategy to compete in a globalized economy. In many parts of the developing world, workers toil for minimal pay under harsh conditions because organizing against unfair treatment is prohibited. This cheap labor seduces large multinational companies to move production overseas, where healthcare, pension and environmental costs are minimal. While human rights are plundered, U.S. workers are also losing their jobs. And many of the Asian countries where these jobs are going are manipulating their currencies to keep them undervalued against the dollar and are providing massive illegal subsidies and other unfair trade benefits. - Restructure the tax code so American companies stay here. Right now, we provide tax incentives for companies to invest overseas, a sure sign that our economy works best for big business instead of for regular Americans. We must fix our tax code so corporations are not rewarded for closing plants and shipping jobs to China. In addition, Congress should offer partial tax rebates on exported goods and impose equivalent taxes on imports. - Protect national security manufacturing. Today, the U.S. has an $80 billion annual trade deficit with China just for “Advanced Technology Products,” many of which are essential to our national defense. Congress should pass legislation requiring that certain critical items be subject to a national security impact statement before allowing their manufacturing overseas. - Enact temporary tariffs. Congress should enact temporary tariffs to protect our high-value manufacturing. A temporary policy of import tariffs, coupled with encouragement of foreign direct investment, would provide the U.S. with all the benefits of free trade without promoting a low-wage workforce. - Create a new Justice Dept. bureau to enforce trade. On the issue of enforcement, an independent office within the Department of Justice would be tougher and more effective at ensuring that our trade agreements are complied with. - Initiate trade cases under the U.S. trade remedy laws. The U.S. should spearhead an Unfair Trade Strike Force to be deployed when nations violate trade laws. It is impossible to overlook China when considering how to correct globalization’s unwanted fallout. The Chinese economy has been growing at ten percent a year for the last 30 years. Such unprecedented economic growth is at the root of China’s dramatic surge in military power, international political weight, and financial influence. These developments, with their economic and geo-political implications, are not simply the outgrowth of free market forces and fair trade. Rather, they stem from sophisticated industrial and mercantilist trade policies, often illegal, that China has instituted to establish its great power status. The U.S. economy will continue its decline unless our leaders in Washington take immediate action to take on Chinese economic practices. - Create a White House office to focus on American competitiveness. A transparent office dedicated to gathering independent intelligence on our trade competitiveness with China would improve our economic standing. It would help align trade and tax policy so that private sector incentives match the public interest. - Pursue a hard line on Chinese economic policy. From intellectual property theft to restrictions on rare earth mineral exports to extortionist indigenous innovation purchasing policies, China is playing by a different set of rules and we’re doing little about it. Our government must be willing to challenge and mitigate the disastrous effects of Chinese economic policies on American manufacturing and trade. This should start with a clearer focus from the White House, guided by the independent body recommended above and directed at all federal agencies. Initiatives should include bringing cases in the W.T.O., imposing tariffs when necessary, and requiring rigorous reviews of China’s planned investments in American ports, markets, natural resources and transportation industry. Coincident with the loss of trade and manufacturing is the decline of our nation’s infrastructure. After years of under-investing in public infrastructure, America faces an infrastructure deficit of $3 trillion that is impeding economic growth and undermining our economy’s efficiency. We need to spend $2.2 trillion over just the next five years to meet America’s core infrastructure needs, according to the American Society of Civil Engineers. But actual spending plans fall far short. - Create a levered National Infrastructure Bank. The administration and Congress should create a national infrastructure bank that would be an independent financial institution owned by the government. Able to fund a broad range of infrastructure projects beyond roads, rails and runways, it would make loans and loan guarantees and leverage private capital. It should be able to sell or issue general purpose bonds to raise funds for lending and investment, sell specific project bonds when necessary, and invite private investment, along with state and local government pension plan investments. 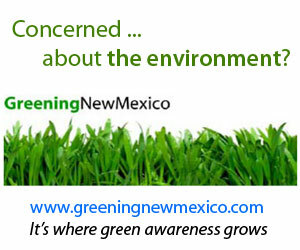 Employment opportunities in the “green economy” can provide some relief, although not as much as some project. According to Booz Allen, green projects will create eight million jobs by 2013; the Global Climate Network puts that number at 20 million world-wide by 2030. Bolstering this segment of our economy will put people to work in manufacturing jobs that have the greatest multiplier effect, and will stimulate more economic growth. Leaders in Washington must do more to encourage growth in this industry. - Extend the Cash Grant Program for renewable energy production. This program converts non-refundable tax credits for renewable energy production into cash grants. Extending the program until the equity and debt markets recover will help create jobs and avoid further job loss in the industry. - Lengthen the period of the Advanced Manufacturing Tax Credit. ARRA authorized up to $2.3 billion in tax credits for investments in qualified advanced energy projects at manufacturing facilities, such as energy storage, electricity transmission, energy conservation technologies, and others. - Expand Title 17 Loan Guarantee Program. Title 17 of the Energy Policy Act of 2005 provides federal loan guarantees for the construction of energy-related facilities that use “new or significantly improved technologies” which are “non-commercial” and have high technological risk. These guarantees lower the cost of capital for these projects. Broadening Title 17 to include energy-efficiency investments would help spur this market and create new jobs. The hardest hit among the unemployed are young people. Almost 25 percent of teenagers from 16 to 19 are officially unemployed. For young adults aged 20 to 24, unemployment is nearly 16% – a number not seen since 1948. Many of these disconnected youth are at risk of becoming permanently disengaged from the labor market. Young people who do not have a successful work experience by age 25 are also at greater risk of lifelong poverty. - Extend the Work Opportunity Tax Credit (W.O.T.C.) beyond August 2011. This law provides small businesses with tax incentives to hire people who might ordinarily struggle to find work – for example, those with lesser skills and veterans. Congress expanded the tax credit in 2009 to include the tax credits for hiring disconnected youth. Our ongoing national youth unemployment demands that this W.O.T.C. provision be extended well beyond August of this year. Our national leadership is responsible for tackling the extreme real unemployment and stagnant wages crises. President Obama has already shown a strong willingness to reform health care and regulate the financial services industries. Today, however, our nation needs, from all of Washington, that same passion and commitment directed at job creation. It’s time our leaders show the moral courage that defines true leadership and resolve to restore what all good Americans want and need: the security, well-being and self-respect that come from fair employment and wages. This article was submitted by Leo Hindery, Jr. Leo Hindery Jr. is chair of the Smart Globalization Initiative at the New America Foundation and an investor in media companies. He is the former CEO of AT&T Broadband and its predecessors, Tele-Communications, Inc. and Liberty Media. Is Albuquerque an International City?